It was only a matter of time. 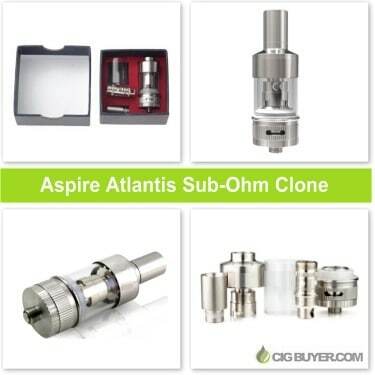 The popular Aspire Atlantis Sub-Ohm Tank already has a clone. Considering it’s quick release, it’s hard to believe a clone could be developed from scratch this quickly, so more than likely it’s from the exact same factory that produces the original Aspire Atlantis Sub-Ohm tank. We can’t guarantee it’s a duplicate, but by looking at the pictures and specs it’s hard to see a difference. your price is so low,how is the quality?